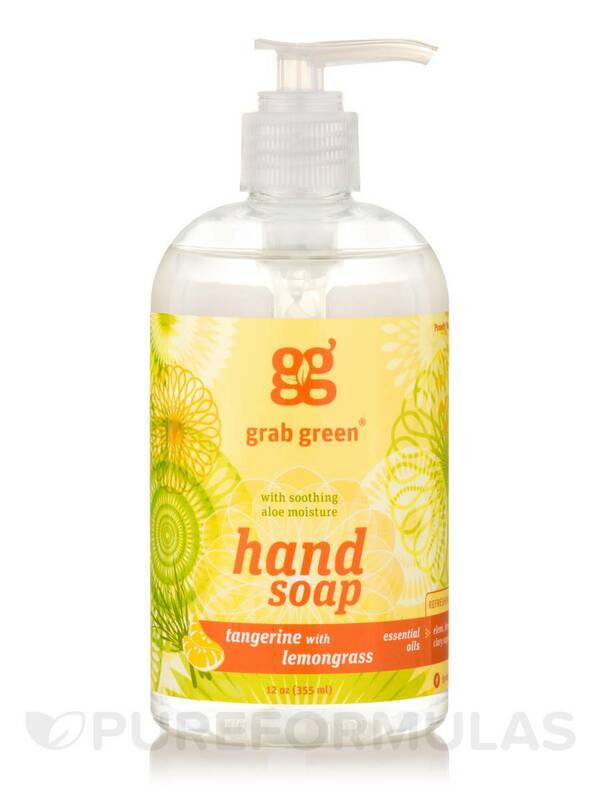 Add this gentle Hand Soap to your bathroom or kitchen to put the goodness of plant- and mineral-based cleansing to work for you. 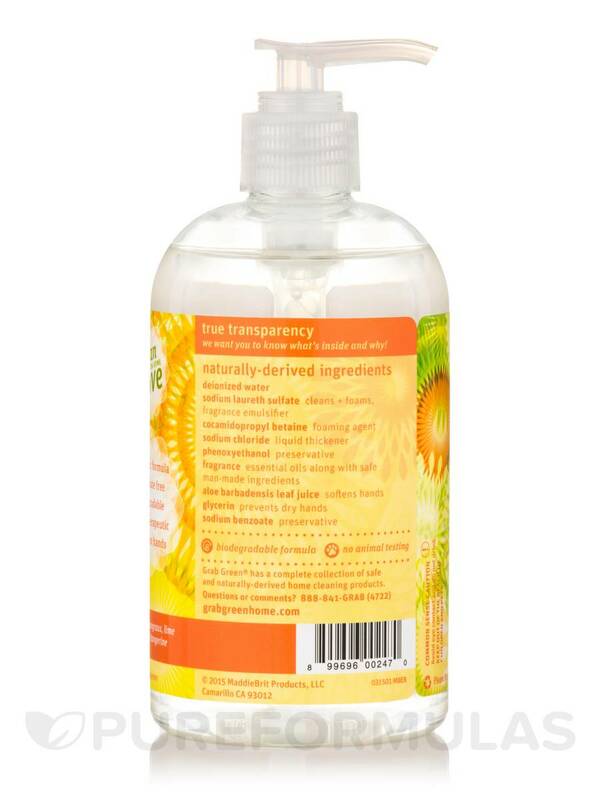 This rich formula lathers up quickly without the use of any harsh chemicals‚ so it’s easy on your skin‚ even with frequent hand washing. 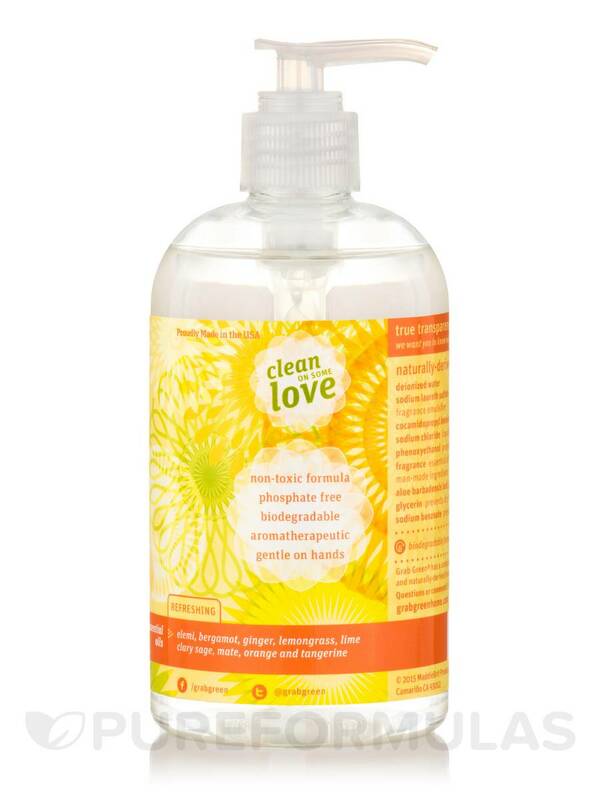 Its juicy tangerine with lemongrass scent rejuvenates the senses as you clean your hands‚ leaving behind a light‚ pleasant fragrance. 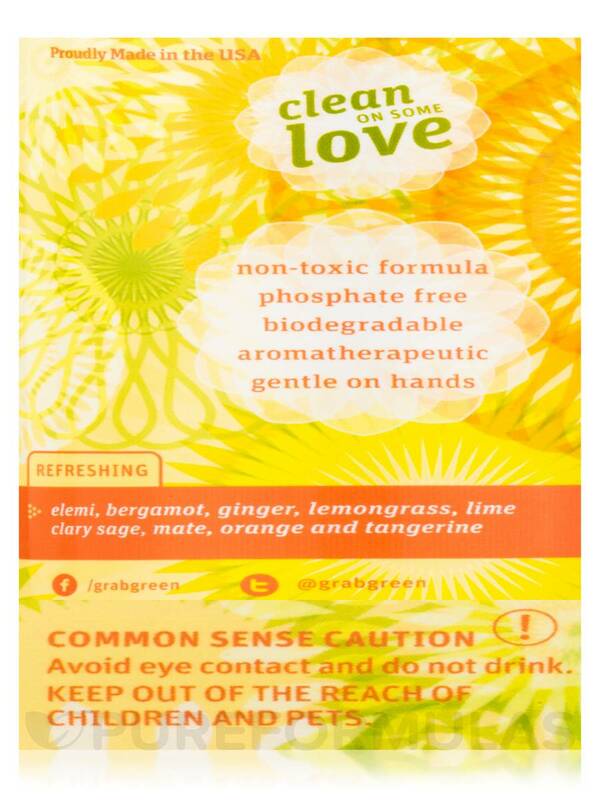 This Hand Soap uses no phosphates‚ masking agents‚ dyes‚ or other fillers‚ so you can feel good about your family using it. 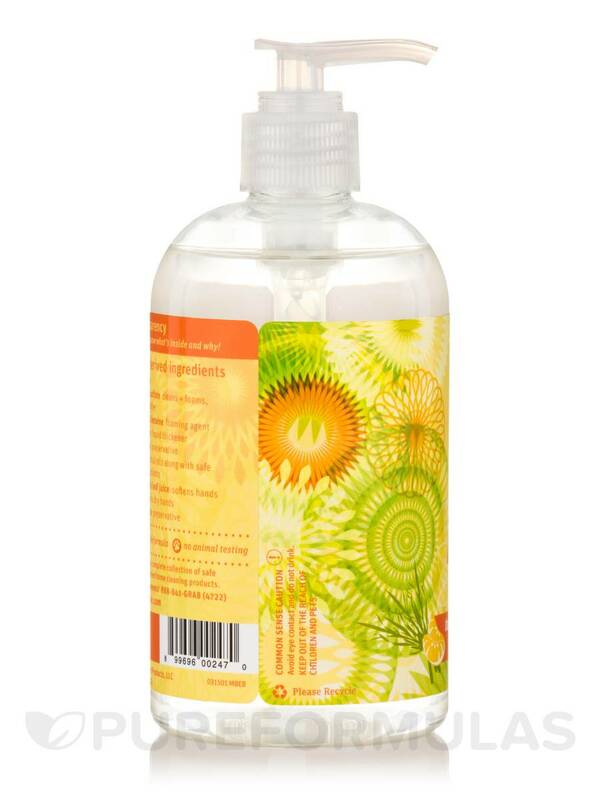 Its formula is gentle yet effective‚ cleansing your hands thoroughly and moisturizing your skin with aloe‚ so your hands feel soft and supple after use. Deionized water‚ sodium laureth sulfate‚ cocamidopropyl betaine‚ sodium chloride‚ phenoxyethanol‚ fragrance‚ aloe barbadensis leaf juice‚ glycerin‚ sodium benzoate. 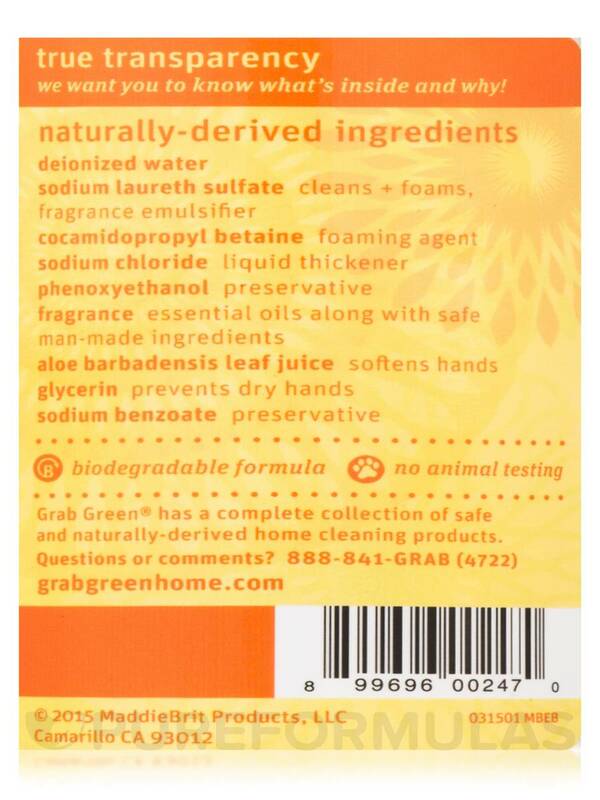 Non-Toxic Formula / Phosphate-Free / No Animal Testing. Avoid eye contact and do not drink.